The Rural Innovation Centre and Chamberlain House are serviced offices designed to provide a stress free environment to help businesses grow and flourish. The light and bright offices have been finished to a high standard and are set in the peaceful and picturesque Stoneleigh Park, where everyone works as a team to boost business and productivity. The Rural Innovation Centre also has two conference rooms, fully equipped with everything you need for business meetings or training courses. And if you are a micro-enterprise or new business wanting to make a big impact you can rent a hot desk to impress your clients. Other facilities on Stoneleigh Park include the Children’s Day Nursery, Farmers Fayre Cafe and Farm Shop, Gym and Hotel, plus fabulous event days like show jumping and car events. The new location is ideal from the perspective of both our staff and our members. We have a light and attractive new office appointed to a high standard and set within the professional environment of the Rural Innovation Centre, with access to in-house conference facilities and ultra-fast broadband. As a national federation serving members throughout the UK, the location of our head office is important. Being central and so accessible to major motorway networks was a big factor in us staying within Stoneleigh Park. The new location is ideal from the perspective of both our staff and our members. We have a light and attractive new office appointed to a high standard and set within the professional environment of the Rural Innovation Centre, with access to in-house conference facilities and ultra-fast broadband. As a national federation serving members throughout the UK, the location of our head office is important. Being central and so accessible to major motorway networks was a big factor in us staying within Stoneleigh Park. Our new location within the Rural Innovation Centre provides us with a more modern facility and means we remain neighbours to leading industry organisations. We were very keen to have a base in the region as many of our key contacts are located here. The offices we’ve moved into are fantastic and the move was very easy – we really just needed to plug in our computers and phones and we were up and running! We were very keen to have a base in the region as many of our key contacts are located here. The offices we’ve moved into are fantastic and the move was very easy – we really just needed to plug in our computers and phones and we were up and running! My previous office – which I used to call my global headquarters – was a building at the bottom of my garden! It worked well for a long time but I grew out of it and was looking for somewhere more comfortable where I could also do my coaching work. The location, facilities and the positive energy around the site is fantastic. My previous office – which I used to call my global headquarters – was a building at the bottom of my garden! It worked well for a long time but I grew out of it and was looking for somewhere more comfortable where I could also do my coaching work. The location, facilities and the positive energy around the site is fantastic. The big draw for us with the Rural Innovation Centre was the work-life balance that it offered. Being based at Stoneleigh Park means that we are right in the heart of the countryside and people can go out for a walk at lunchtime or use the gym that’s on site. It’s also a great location for our clients and candidates to visit. The big draw for us with the Rural Innovation Centre was the work-life balance that it offered. Being based at Stoneleigh Park means that we are right in the heart of the countryside and people can go out for a walk at lunchtime or use the gym that’s on site. It’s also a great location for our clients and candidates to visit. I chose the centre because I have a dog and wanted to bring him to work; I wanted somewhere I could go for a run; and I needed an office that gave me the flexibility to expand as the business grew. 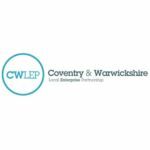 Location was key for us in setting up our first dedicated office due to us operating throughout the country and the Rural Innovation Centre at Stoneleigh Park was ideal. If you would like some more information about renting our offices, or to have a look at our facilities, please contact us, by calling 02476 998 500 or phone Colin Hooper the Estates Director on 02476 690 035. Or you can email us at enquiries@ricoffices.co.uk or use the contact button below. 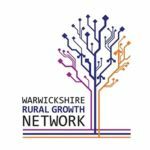 The Rural Innovation Centre is part of the Warwickshire Rural Growth Network, funded by DEFRA and led by Warwickshire County Council on behalf of the Coventry and Warwickshire Local Enterprise Partnership. 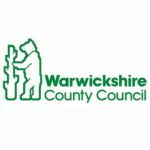 Click the logos opposite to discover more about the Rural Innovation Centre’s Partners.